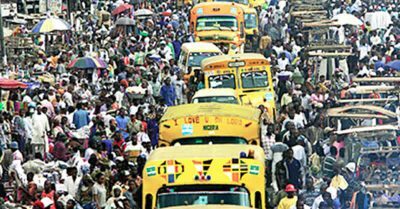 The Lagos State Government on Thursday disclosed that it has established a special team to ensure efficient traffic compliance in the state and to particularly address the observable flagrant disobedience to traffic rules by motorists. Chief Executive Officer of Lagos State Traffic Management Authority, AIG Chris Olakpe (Rtd) who disclosed this after a tour of notable traffic-prone areas of the state in company with other top hierarchy of the Agency, including the General Manager, Mr. Olawale Musa, said the development was part of a series of actions and concerted efforts to tackle the traffic gridlock across the state. ￼The special team, according to him, consists of the Police, LASTMA, Federal Road Safety Commission, Nigeria Security and Civil Defence Corps, and men from different military formations. The overall purpose, he said, was to maintain physical presence and ensure compliance at the identified traffic trouble spots. ￼He expressed optimism that the officers would bring their experience and professionalism to bear and compliment the efforts of existing staff on ground, adding that their primary responsibility is to ensure efficiency in traffic control and enforcement of traffic laws all over the state.